Spending time at our school is the best way to discern if EMS is the right fit for your student and family. Attend an upcoming admissions event (see below) or schedule a private tour. Parents of elementary students should visit without their child first to minimize any confusion for younger children. Middle and high school students and parents are welcome to explore our school together. A tour will last about an hour. Students may also visit classrooms for part of a day or a full day, depending on the age of the student and your family's schedule. 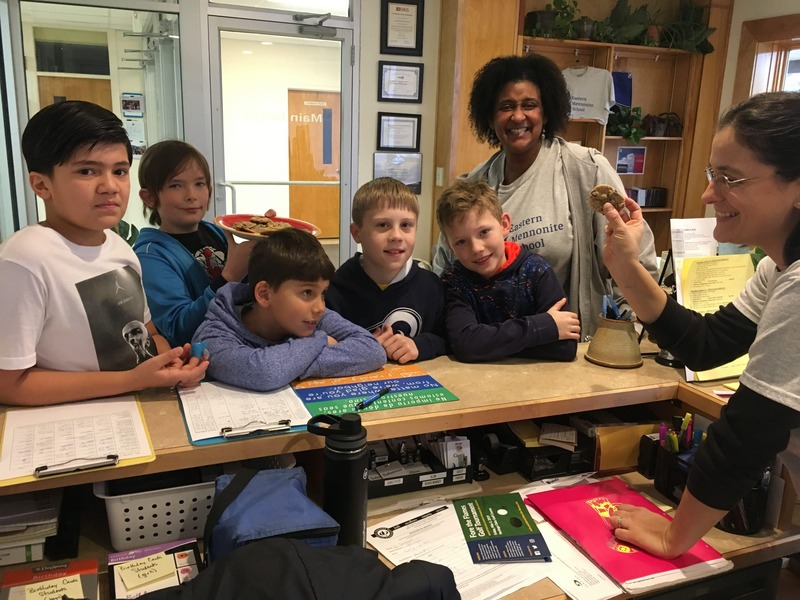 Drop in Open House Events - Thursday, March 28, 2019, 8:30 to 10 a.m. and Thursday, April 25, 8:30 to 10 a.m. to 4 p.m.
See our innovative learning spaces and learn about our emphasis on time outdoors, the arts, and creating community! Observe, talk with other parents, teachers and the principal. Schedule a personal visit. Schedule a time to visit when it best fits your schedule. School counselor Debbie Katz and students share cookies with staff. Our final group Student Visitation Day of the year was March 25. However, visitors are welcome any time. 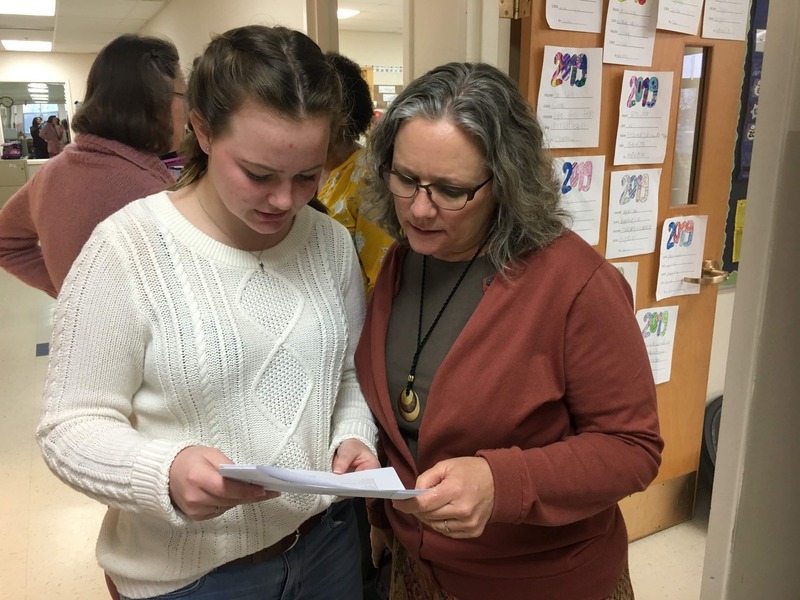 Contact Marsha Thomas, admissions counselor, to plan a time for parents and students to tour, and prospective students to shadow a peer with similar interests. Please note that we may be unable to accommodate requests for tours or student visits during the month of May due to end-of-year academic schedules. Summer visits welcome are welcome.